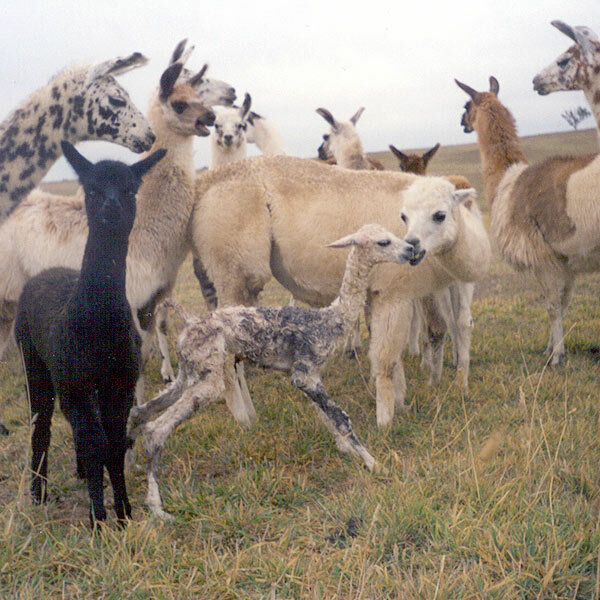 Since 2001 Alpaca Magic has been working on breeding Llapacas (the progeny of a llama crossed with an alpaca). 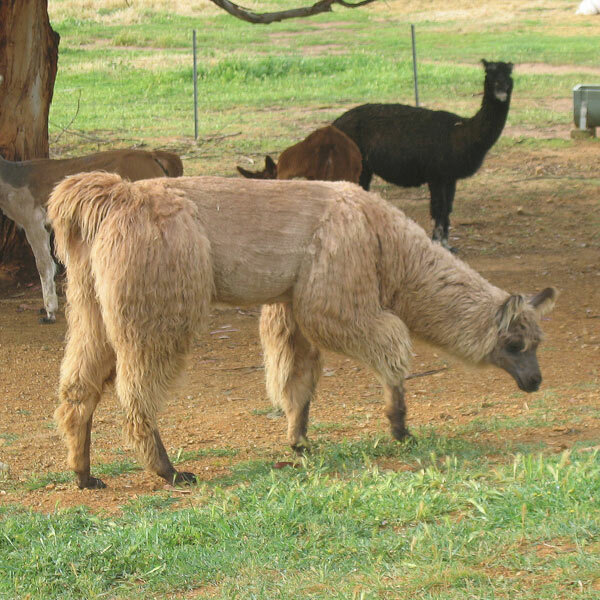 Our Llapaca breeding (they are called Huarizo’s in South America) began when an unusually large alpaca “Amber Glow” failed to fall pregnant despite many services by several different alpaca males. I wondered if this was purely a mechanical problem – perhaps she was just too big for them. We hoped such a mating might produce an animal larger than an alpaca, with a good fleece and the wonderful temperament of our llama stud males. We decided to use our smallest llama stud male “Eightisenuf”, an appaloosa long woolled llama and hope that this mating might provide a pregnancy. Eightisenuf was only too pleased to oblige and 12 months later we had our first Llapaca cria which we called “Llapaca”. She was a striking misty appaloosa. The birth was easy and quick & the cria was up and sucking in around 30 minutes! She had the laid back temperament of her llama father and her fleece was an improvement on both her parents’ fleeces! Was this hybrid vigour? We remated alpaca Amber Glow back to llama Eightisenuf several more times. 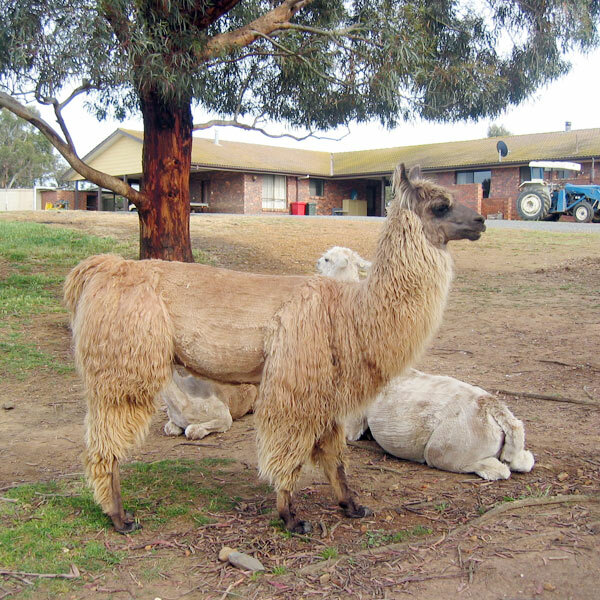 The resulting progeny included Llapacatoo, a big and robust white female and several very attractive and gentle male crias. Both Llapaca and Llapacatoo have been mated to Llama Top Class with stunning cria resulting – Lla Penzance, Lla Nina, Lla Luna. The same mating has also produced male cria – Lla Bamba, Lla Pirate, Lla Poleon & Lla Har. Lla Poleon & Lla Har are exceptionally attractive long woolled and gentle natured boys. We are delighted with our llapacas, and will continue to breed our large alpaca girls with our llama stud males. We now have around 20 llapacas. We find that our llapacas are popular with buyers looking for the llama temperament but a smaller frame and a heavier fleece. 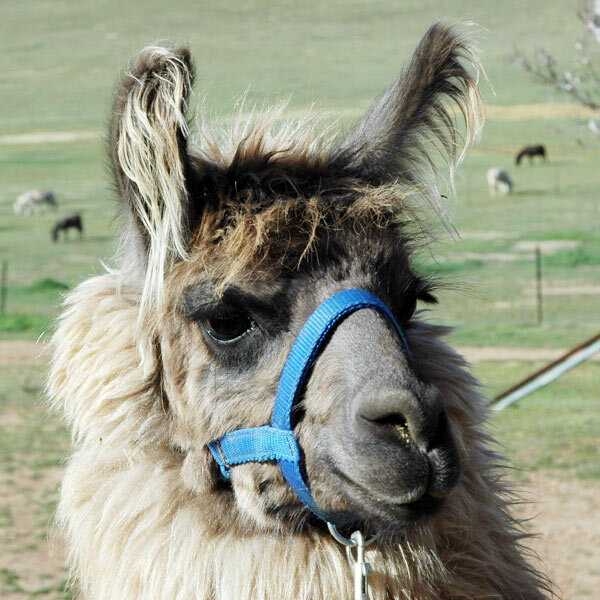 All our llapacas are registered with the Llama Assn of Australasia.